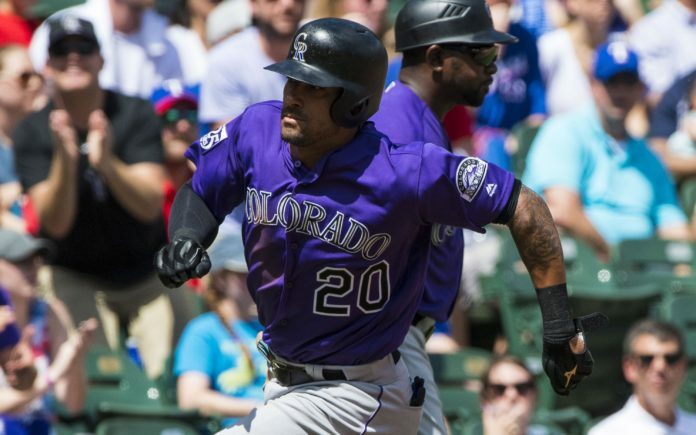 Ian Desmond flourished as the Rockies DH against the Rangers last weekend. Credit: Jerome Miron, USA TODAY Sports. 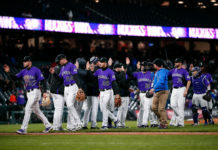 Colorado Rockies (70-57, second place in NL West, 8-2 in their last 10 games) vs. St. Louis Cardinals (71-57, second place in NL Central, 8-2 in their last 10 games). Senzatela (5.0 IP, 5 H, 2 ER, 1 K) was left with a no-decision in his last start against the Braves. Senzatela has allowed two earned runs or less in each of his last three starts and is 1-1 with a 2.50 ERA in his career against the Cardinals. Mikolas (6.0 IP, 5 H, 1 ER, 7 K) was lights-out and earned the win in his last start against the Brewers. Mikolas has been the ace of the Cardinals’ pitching staff in 2018 and currently leads St. Louis in wins (13) and ERA (2.80). Marquez (7.0 IP, 5 H, 2 ER, 5 K) pitched well and earned the win in his last start against the Braves. Marquez has won his last two starts and is 2-0 with a 2.53 ERA in his career against St. Louis. Gant (4.1 IP, 6 H, 2 ER, 1 K) took the loss in his last start against the Brewers. Gant has only pitched into the sixth inning twice in his last nine starts and has never faced the Rockies in his career. Anderson (6.1 IP, 10 H, 4 ER, 8 K) took the loss in his last start against the Padres. Anderson has been subpar for the Rockies lately and has not won an outing since July 4. The southpaw is 0-3 with a 9.15 ERA in his last four starts and is 0-1 with a 4.15 ERA in his career against the Cardinals. Gomber (5.0 IP, 5 H, 2 ER, 4 K) was left with a no-decision in his last start against the Dodgers. 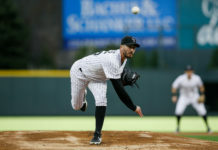 Gomber has won two of his last three starts and is 1-0 with a 0.00 ERA against the Rockies in his career. Ian Desmond (7-for-22, 1 HR, 11 RBI) was the hero for the Rockies on Wednesday – hitting a walk-off home run against the Padres and now holds a respectable line of (.234 BA, 20 HR, 71 RBI, 15 SB) in 2018. Trevor Story has been dominant at the plate for the Rockies in 2018 (.295 BA, 26 HR, 84 RBI, 19 SB) and has emerged as one of the best hitters in the Rockies’ lineup. Story is 10 for his last 25 and is just one stolen base away from a 20-20 season. 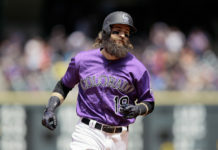 Charlie Blackmon (9-for-27) has played well for Colorado recently and went 5-for-13 during the Rockies’ recent series against the Padres. Blackmon currently leads the National League in runs scored (92) and is carrying a three-game hitting streak. Jedd Gyorko (7-for-19, 2 HR, 2 RBI) has been one of the most productive Cardinals’ hitters in August and is hitting .351 in his last 37 at-bats. Jose Martinez has continued to play well for the Cardinals in 2018 (.305 BA, 15 HR, 72 RBI) and has been hot lately, going 5-for-18, 1 HR, and 3 RBI. Kolten Wong has been able to produce for St. Louis lately (11-for-37, 1 HR, 6 RBI), but has generally failed to make a significant impact for the Cardinals in 2018 (.237 BA, 8 HR, 31 RBI). Ryan McMahon is just 4-for-21 of late and has failed to find consistency at the plate for the Rockies this year, hitting .232 BA, 4 HR, 17 RBI. Gerardo Parra (16-for-63) has struggled mightily for Colorado recently and has seen a significant drop in his batting average from 2017 (.309) to 2018 (.284). With the addition of Matt Holliday, Parra may see his starts in the outfield reduced. Carlos Gonzalez is just 4-for-17 of late and has failed to have a multi-hit game since Aug. 11. Yadier Molina has been ice-cold for the Cardinals lately (1–for-18), but has had a good year for St. Louis in 2018 (.273 BA, 16 HR, 56 RBI). Greg Garcia is just 3-for-16 and has been unable to do much from the batter’s box for the Cardinals in 2018 (.227 BA, 3 HR, 12 RBI). Tyler O’Neill (3-for-16) has struggled recently for the Cardinals but has been a nice platoon outfielder for St. Louis in 2018 (.282 BA, 4 HR, 11 RBI).